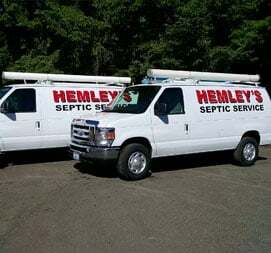 Hemley’s Septic is your first choice for septic tank cleaning. We are a well-established company that knows how to get the job done. We cover Tacoma and all adjoining areas. Our company has a long history of fulfilling the needs of both commercial and residential septic service clients. We do all sorts of services related to septic tank cleaning. With that, we suggest you a regular three-year cleaning routine as it will make sure your sewerage works at its best. We are a fast and professional service that has no competition for its high standards. Feel free to call us If you got some issue with your septic system. ​We always pride ourselves on our unmatched quality. We have experienced staff that is committed to offering you top of the line service in Tacoma and nearby area. What truly separates us from other companies is our integrity. We care about the satisfaction of our clients. We have owned and maintained the business for decades now. In this valuable time, we have managed to develop trust with the people in the vicinity. 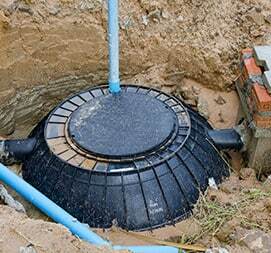 We offer residential and commercial septic services. Most of our knowledge about the equipment and given solutions come from our field experience. Since our establishment, we have grown into a premium septic cleaning and maintenance company. When it comes to services, we specialize in a broad array of applications as we consider no job too small or too big. We have a well-trained team of experienced and certified members who will diagnose the problem before they start their work. We train people and take them to the extra mile. This easy, you can be confident that your issue is being resolved by well capable hands. It is of dire important that you have the tank cleaned out every once in 2 or 3 years. This can help you prevent many issues. So, do you know how often does the tank needs to be pumped? You need to see your area and your usage to make sure you don’t end up overpaying. But on an average rate, do you really need the option. we make sure that the sludge and scum found in tank is perfectly got rid of. 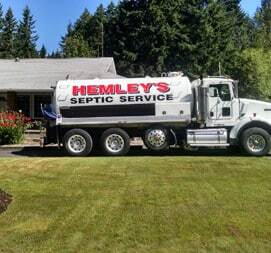 Tacoma Septic Cleaning is the best when it comes to clean and pump septic tanks and system. We are defined by the high standards of service and we ensure you won’t be disappointed by our services. Looking forward to hearing from you. Like every appliance in the world, the Tacoma Septic Cleaning service offers you proper maintenance or you will see that the drain has stopped working. So, you need to go for regular maintenance if you want it to perform its best. we inspect tanks, ports and after we have located the flow of water, we test the amount of sludge in tank and evaluate the pumping portion of tank. During the inspection, our member will mind the drain fields and make sure these are watertight. This way, there is no ground on which water is getting out of. We will also check the filter and inside of the bank including the rear baffle. 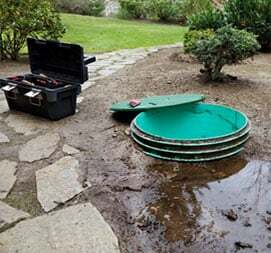 As a part of our services, we offer a free inspection with our every schedule for cleaning the septic system. Well, you can’t argue over the fact that it is highly possible you can get some unexpected trouble with your system at the most unexpected time. This can be anything, but don’t worry, we are here to help you out. When you see any trouble with the drain, it’s time for you for to give us a call! We will be there right away. There is no need to wait on the call unless you see something is not going right. you are risking the whole system and in your attempt to save money, you may end up spending more. so be sure to get the system runs, you may need to install a new one from scratch. We are specialist and we know what we are doing. So, if you have any query or your drain system is not working as it should, you know whom to call. we are always here to serve your needs.